Low carb diets have been around for a while, and carbohydrate limitation has been the foundation of many diets including the Atkins diet, the high protein diet, the Stillman diet, the Hollywood diet, the Zone diet, the Dukan diet and many more. Low Carb diets take advantage of extensive research which has linked carbohydrate consumption to increased insulin production, which itself is an important fat regulator that dictates whether fat is stored, or burned as fuel. A typical low carb diet therefore includes a higher amount of meat, dairy and fat which would resemble more closely what our ancestors would have eaten for thousands of years before the advent of more modern agriculture. What studies are confirming is that many factors including your genetics, lifestyle and fitness can affect how your body reacts to different ratios of Carbohydrate, Protein and fat. Fitium takes advantage of some of the principles used in low carb diets, and improves these by designing a diet plan tailored to your diet goal. A 7 day accelerator course to help you get results from the first week and help you avoid common pitfalls that can derail your weight loss success. A weekly coaching program designed to help you implement your personalised diet plan, and make the right diet and lifestyle changes to get long term results. An intuitive meal planner, which provides easy to prepare tailored meal plans for every day of the week. A wide range of practical resources to help you tackle emotional eating, stressful social occasions and other common situations that can keep you from achieving your weight loss potential. Fitium also provides an easy to follow dashboard to help you monitor your progress, track your meals, review your activity and keep an eye on your health vitals. This results in improved accountability and has been proven to double weight loss in many studies. 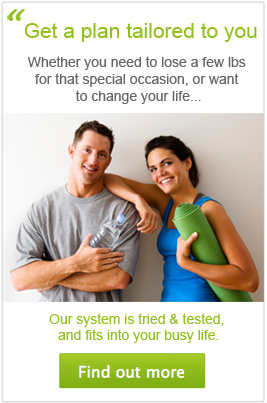 Click here to find out more about our complete weight loss system, tailored to your needs.